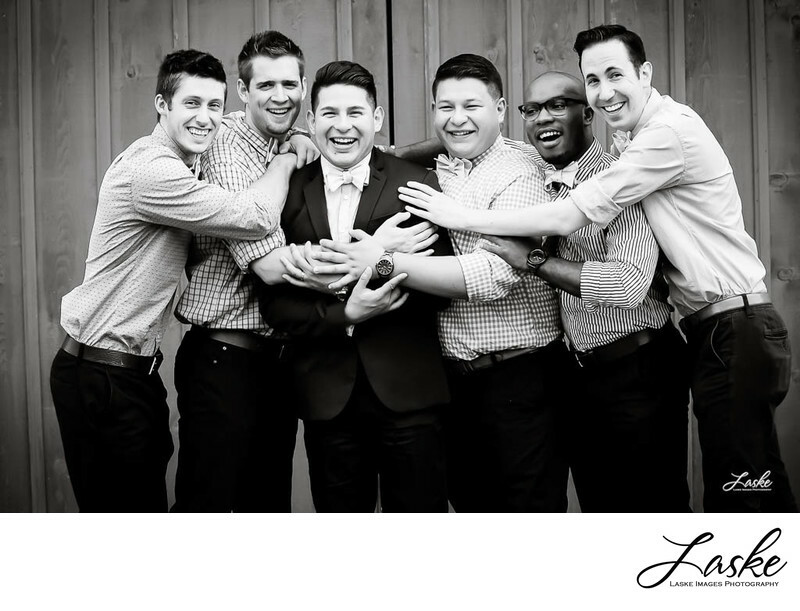 Groomsmen move in to hug the Groom on his wedding day. Country wedding photography in Oklahoma. 1/640; f/4.5; ISO 200; 75.0 mm.